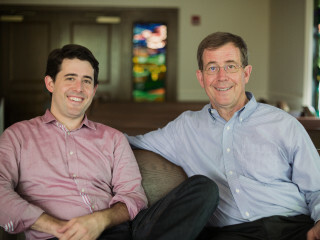 Bishop Scott J. Jones, bishop of the Texas Conference of the United Methodist Church, and his son, Rev. Arthur Jones, a fifth generation Methodist minister and senior associate pastor at St. Andrew United Methodist Church, will talk about their second book, Scripture & The Wesleyan Way: A Bible Study on Real Christianity. The discussion will be followed by a Q&A. Books will be available for purchase at the event.